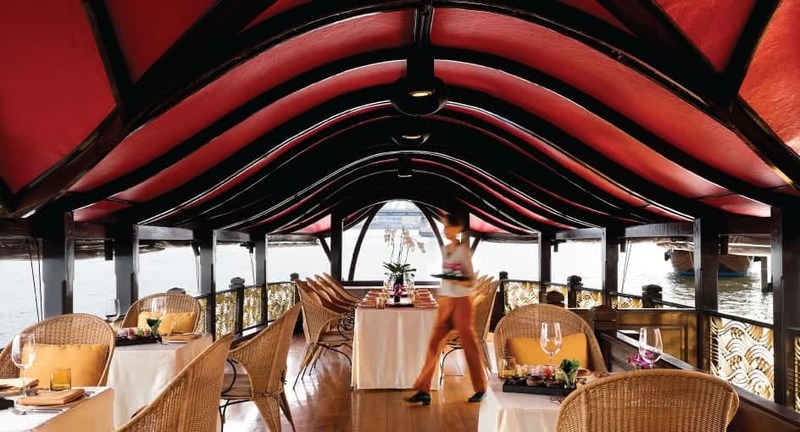 Step aboard a stately wooden barge and prepare for a journey of romance along the River of Kings. Iconic landmarks lit up in the night are the backdrop to your culinary adventure. Dine on classic Thai dishes such as pomelo salad, Massamun curry and traditional Thai desserts. Cruises leave from the pier in front of our Bangkok resort at 7.30 pm daily, and reservations are required.